This December, capture the excitement of the holiday season in Carbondale, CO with a dazzling display of lights, a community tree lighting ceremony, sing-along caroling, a holiday market, visits with Old Saint Nick, hot chocolate, and lots more. We’ve rounded up Carbondale’s holiday events and activities for you, so keep reading to learn about all of the fun. 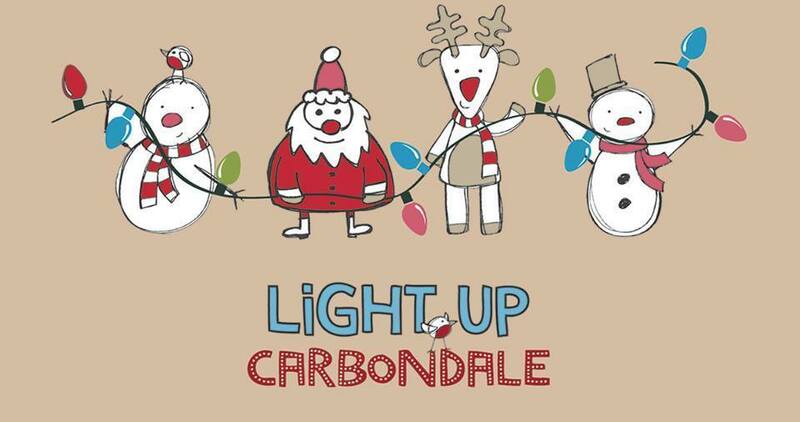 Light Up Carbondale First Friday — Get in the spirit of the season at the annual Light Up Carbondale event from 5:00–9:00 PM. The night’s festivities will begin with the tree lighting. At 5:15 PM, meet Santa at Main Street and Weant Boulevard near the Forest Service building to sing “Oh Christmas Tree” and witness the tree lighting. Then, the pedestrian parade will head down Main Street towards 4th Street Plaza at 5:30 PM, followed by Santa’s proclamation that all lights on Main Street be illuminated. With all of the holiday lights sparkling and twinkling on Main Street, the Carbondale Middle School band will strike up some festive tunes, while everyone enjoys cookies, hot chocolate, marshmallow roasting, a bonfire, and sing-along caroling at the 4th Street Plaza. Over at The Launchpad, kids can visit Santa from 3:00–7:00 PM. There will also be performances by the cast of Sol Theater’s A Christmas Story, and the Deck the Walls holiday market at R2 Gallery will be open until 8:00 PM. Carbondale Clay Center Annual Cup Auction — This is a popular fundraiser for the Carbondale Clay Center, where attendees will bid on one-of-a-kind cups, many made by Roaring Fork Valley artists. In addition to the cup auction, enjoy food, drinks, and live music all from 6:00–9:00 PM. Jingle Bell Run — The Independence Run & Hike Jingle Bell Run is a more a celebration and race rolled into one fun event. Held every year on the Sunday before Christmas this “running party” often brings snow and laughter. The race winds its way throughout the heart of Carbondale and then up to White Hill where racers get great views of Mount Sopris before racing back to the store. Wear an Ugly sweater or your favorite holiday costume and bring traction devices for your shoes, because the roads are often slippery this time of year. We will have some awesome prizes including a big prize for the best ugly sweater. The run starts at 11:00 AM. Deck the Walls Holiday Market at the R2 Gallery in The Launchpad — The holiday market is open Monday, Tuesday, and Friday from 9:00 AM to 5:00 PM; Wednesday and Thursday from 9:00 AM to 6:00 PM; and Saturday from 10:00 AM to 5:00 PM. On Saturdays in December, enjoy a complimentary glass of champagne while you shop from 3:00 to 5:00 PM.